Last year we ran a training session through BULLY ZERO for our Line Managers. The focus was on the effects and risks of workplace bullying, along with practical tips on reducing its occurrence. As a result, we had the opportunity to sponsor the program in a local school, where it was presented to a year 9 class. 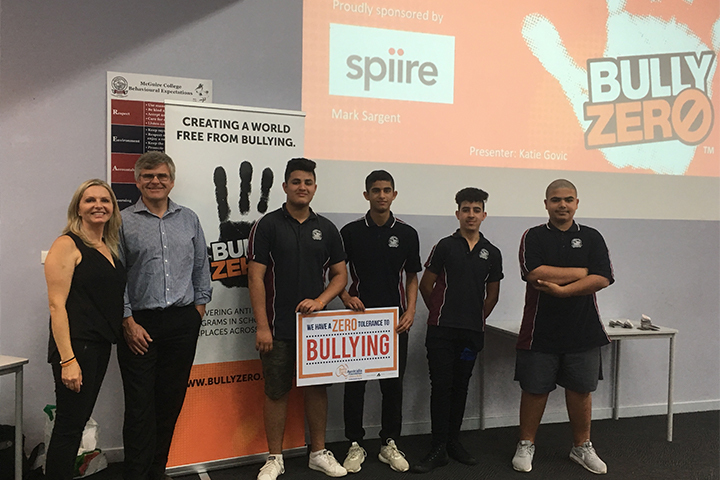 Mark Sargent presented on behalf of Spiire and shared his insights and experience. It’s great to have role models in our business like Mark who are actively involved in initiatives like this.